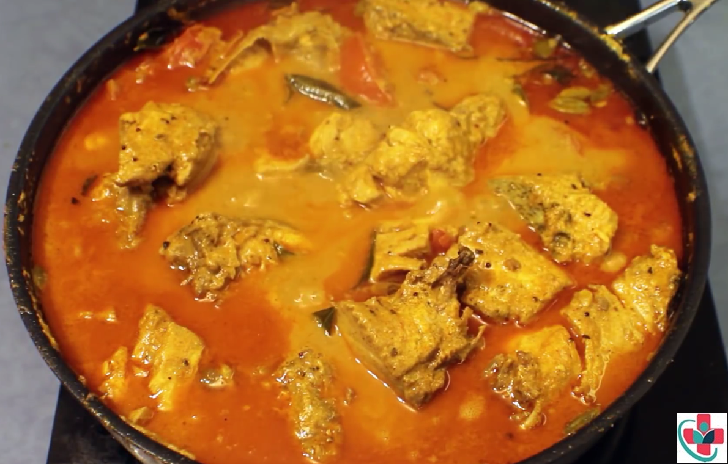 Fish is always my family's favorite food, especially if it is simmered in hot and spicy gravy like this one. For a long time I have not cooked this dish, so my son requested to prepare the fish. Preferably selecting less bony fish if you are feeding small children and it turns out very spicy but delicious. One could fry the fish first or simply cook in gravy - either way it is superb. Spicy fish dipped in diluted coconut milk, to relish your taste buds when served with rice. Wash the fish with lemon juice, drain. Blend together chili and turmeric with some water. Pour water, coconut milk, blended ingredients, and salt in a pot. Stir until boiling. Slide in the fish and bring to boil until fish is cooked. Remove from heat, add lime juice and it is ready to eat.